Discover our urban beach hotel in Playa de Palma. Learn more about our luxury hotel in Calvia. The embodiment of the historic element, Pure Salt Luxury Hotels represents purity of life in the Mediterranean. 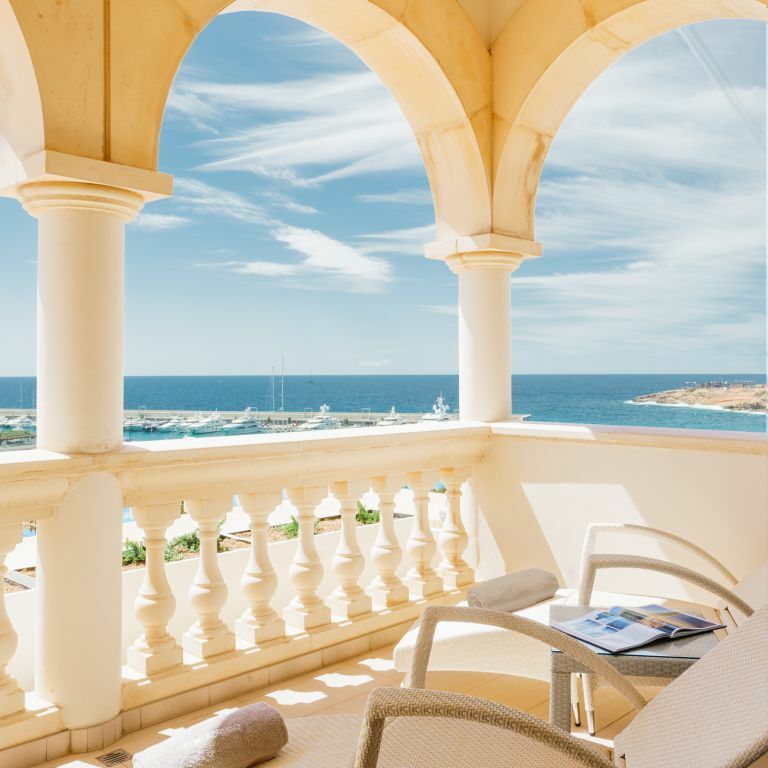 The premium standard for 5-star hotels in Mallorca, Spain, Pure Salt Luxury Hotels offers two exquisite, adults-only hotels ideal for privacy and serenity. At both Pure Salt Port Adriano and Pure Salt Garonda, we are committed to providing a restorative, relaxing and fun experience. Your personalized experience at Pure Salt combines modern facilities, luxurious comforts and unrivalled service. With every detail considered and a warm and welcoming staff, we endeavour to satisfy whatever desire you may have at our Mallorca luxury hotels. Indulgent spa treatments, tremendous golfing, premier beaches, VIP transfer service, local excursions and much more are at your fingertips. The Mediterranean’s purest form of luxury awaits at Pure Salt. Experience the purest form of luxury while overlooking the famous marina of Port Adriano. Located in the serene, exclusive area of Calvià, Mallorca, Pure Salt Port Adriano offers an exquisite respite from everyday life. An oasis of calm and the pinnacle of sophistication, our luxury hotel in Calvià offers warm, welcoming service, a truly stunning and exclusive location. Pure Salt Garonda offers a perfect mix of luxury and leisure in Playa de Palma. 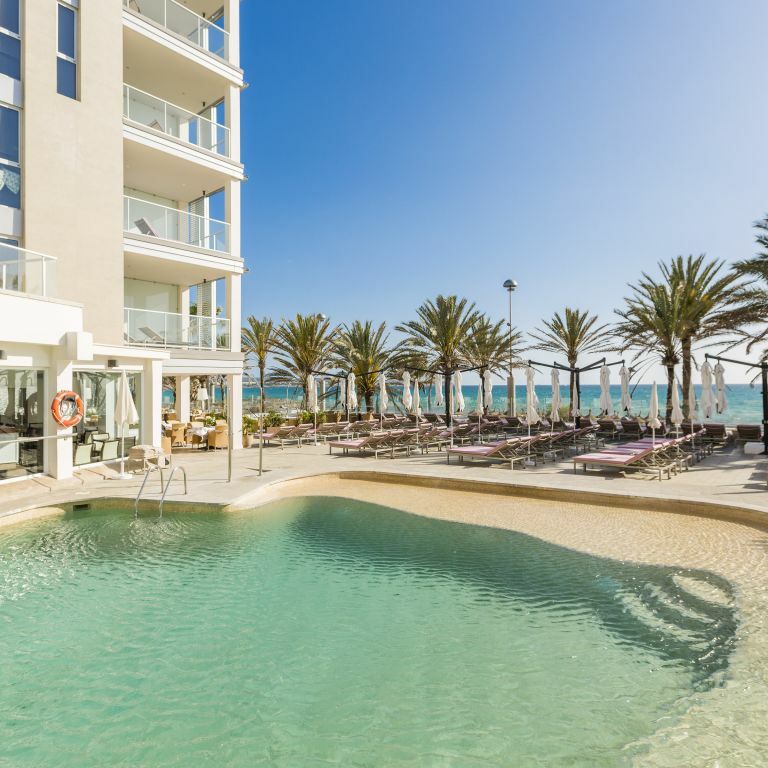 With direct beach access, a tremendous spa, fine dining and superior service, your stay at Pure Salt promises to be truly unforgettable.Our Playa de Palma hotel on the beach endeavours to provide a luxurious, urban beach experience. Pure Salt Residences is a unique collection of luxury serviced apartments in Playa de Palma, each of them beautifully appointed with private terrace and designed to encapsulate modern and contemporary minimalist design. Our guests enjoy the benefits and comforts of a five-star hotel but with the convenience of a larger space and kitchen facilities. A respected Mallorcan family, the Amengual’s have more than 30 years of hotel experience. Seeking new opportunities to break with typical hotel sector norms, the Amengual family founded Pure Salt Luxury Hotels with an emphasis on exquisite guest service. The values of authenticity, excellence, diversity and compromise inform our guest service, from the moment you check in to the moment you book your next stay. From the moment you are greeted at our doors throughout your entire stay, you will find unrivaled service and luxury at Pure Salt. Our entire team seeks to remain true to the traditional welcoming nature of the Mediterranean, and your well-being is our first priority. We seek to provide highly-personalised service, resulting in an authentic Mediterranean luxury experience unlike any other.